On the occasion of the Byzantine New Year, a splendid historical and cultural re-enactment of the Amalfi Coast, we had the honor to perform in the main square in front of the Cathedral of Sant’Andrea and living a magnificent experience. Every year the close collaboration between Amalfi, the town of Atrani and the Center of Culture and History of Amalfi gives life to a highly evocative historical and cultural event, much loved by the public. This is the Byzantine New Year, created in the 80s by the medievalist Giuseppe Gargano. The Byzantine New Year is a great historical and cultural re-enactment held every year at the end of August. The celebration corresponds to the date on which the new fiscal and juridical year began in the territories of the Eastern Empire. This event draws tourists and curious persons of all nationalities on the Amalfi Coast and receives ample attention from the press. Each edition includes artistic performances on the streets of the village: this year we of Lumen Invoco we had the pleasure and the honor to participate. 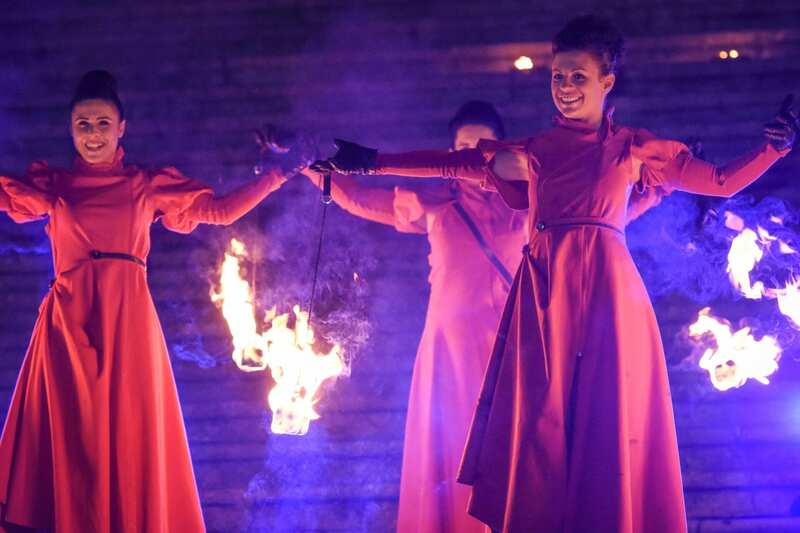 Our performance with fire took place in the main square of the city of Amalfi, at the foot of the suggestive staircase of the Cathedral of Sant’Andrea. The church is an impressive building that on the occasion of the Byzantine New Year is skilfully illuminated and enhanced, becoming a perfect setting to perform. 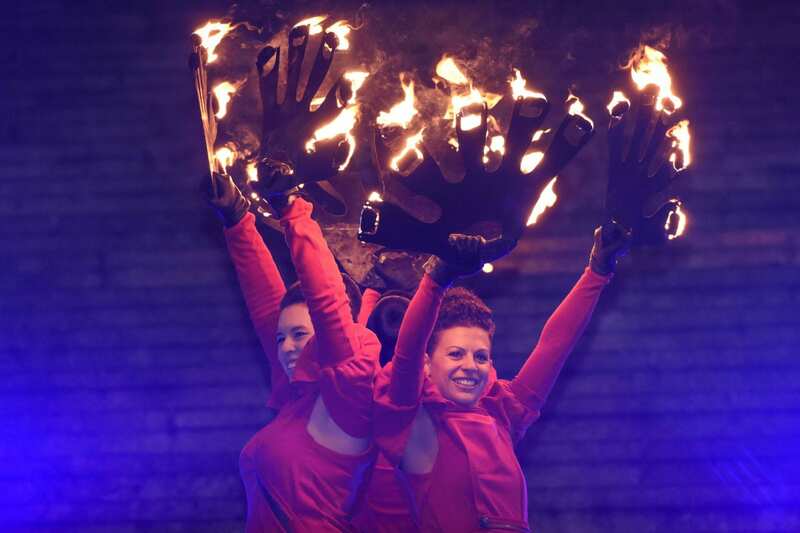 The fire show that we proposed to the public of the Byzantine New Year was perfectly matched with the medieval atmosphere of the event. With the epic genre music that we meticulously selected and the adaptations studied for our performance, we managed to make the most of the long staircase of Piazza Duomo. A wonderful combination that led to the creation of a great and unforgettable event for all the participants, including us. We thank the Municipality of Amalfi for giving us the opportunity to experience the Byzantine New Year.